Having sought out various street foods from all sorts of far flung Asian regions, it was Bali where founder Will Meyrick decided to set up his restaurant and share some of the best recipes he had come across. 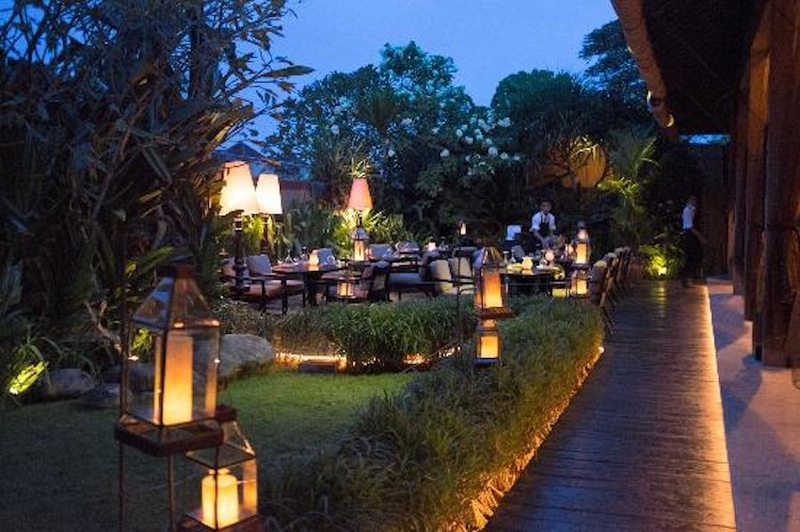 Sarong Restaurant was opened in Kerobokan, South Bali in 2008 and has since been providing locals and tourists alike with what they like to call ‘cuisine culture’, by bringing cultures together through the art of food. Offering two dining pavilions, an outdoor lounge and a casual dining area by the bar, Sarong presents a wide selection of tasty goodies including Asian tapas and main dishes from a coconut char grill. Trained mixologists are on hand to blend up ravishing cocktails with the likes of a Tonic Marmalade Margarita (tequila, orange marmalade and tonic citrus) or a Coconut Passionfruit & Pineapple Daiquiri (candied fresh roasted coconut flakes with rum, coconut juice, pineapple and passion fruit foam.). A private dining room is also available and can be reserved for up to 16 guests.